How often do you see current or potential customers coming to your site but then not taking any action? They poke around your pages a bit, look at a few things, then move on, without giving you a new conversion. How can you get that customer back to your page to actually go through with the action you'd ideally like them to take? Welcome to the world of retargeting. I'm sure you've all seen retargeting ads in action before - ads in your Facebook feed showcasing those shoes you almost bought online the other day, or a sponsored post of one of the apartment buildings you looked at two weeks ago, which has now magically appeared on your Instagram feed. 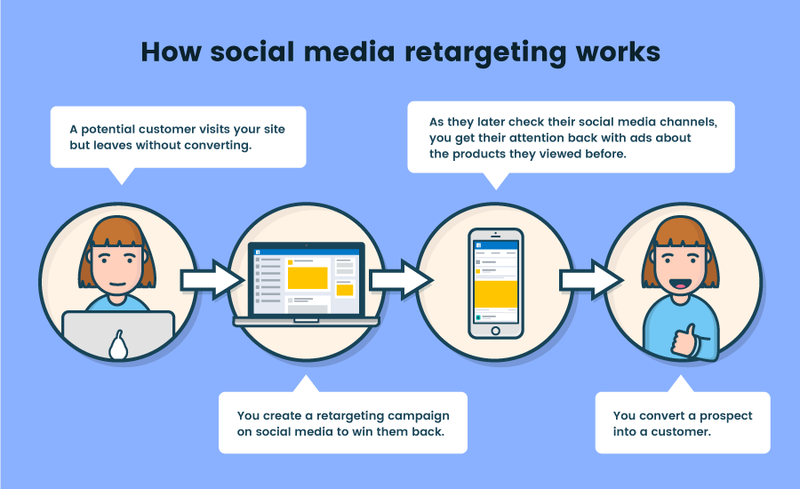 You can use retargeting to draw customers back to your page or product, and social media has a big role to play in the process, seeing as nearly 70% of all U.S. adults are active on at least one social network. In this post, we're going to take a look at how retargeting works, and which platforms offer retargeting options through their audience settings. But first off, let's start with the basics. 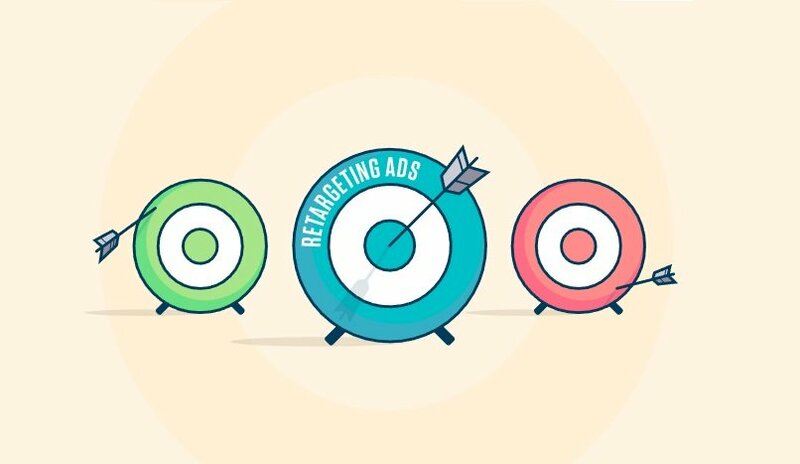 Retargeting, in a digital marketing context, is the process of targeting your online advertising to reach people who've already visited your website or are already in your database as a lead or customer, based on their previous internet actions. You can retarget people based on a range of criteria and activity, dependent on each platform and the back-end data collection methods you've set up. There are two main options when it comes to retargeting: pixel-based and list-based. Let's take a look at both. Ads can run for up to 30 days from the last time a customer visited a website. You can create multiple lists based on different actions, and it never expires. The possibility of users having different emails used across platforms. Less timely due to managing lists manually. Why should you care about retargeting? Retargeting enables you to remind users of products or pages they viewed, which can subsequently encourage them to proceed further through the purchase funnel. It can also be used to generate awareness by drawing people's attention to products, features or announcements which are relevant to your business. The advantage of a social media retargeting campaign is that people can see that the ad is from a real account. This can help encourage users to share, reply to and discuss your content on well-known platforms. Social media platforms offer a variety of retargeting options. We've listed them below to help you design your paid social retargeting campaign. Custom audiences. There are several options to consider. Twitter offers 'Tailored Audiences' for retargeting. Choose between three audience types available. LinkedIn now offers website retargeting, which enables advertisers to segment website visitors based on pages they've visited on your site. LinkedIn's process then tailors the ad content to the visitor you wish to reactivate. It also assists in helping to convert more prospects by guiding them along the buyer journey. Snapchat has 'Engagement Audiences' which can be used to target users that have previously interacted with any of your ads on the app. YouTube's 'Video Remarketing ' reaches viewers based on their past interactions with your videos, TrueView ads or YouTube channel. Pinterest's retargeting options aim to reach pinners who've interacted with your Pinterest campaigns in the past with personalized content. You can create an audience based on pin clicks, comments, saves, close ups or based on their interest in a specific pin. Pinterest also offers 'Visitor Targeting', for which, you need to add the Pinterest tag onto your webpage. The option enables you to retarget people based on the actions they've taken, such as browsing a specific category, adding an item to a shopping cart or signing up for your services. Events - Uses event tags on your site and the data associated with the event. URL - Tracks one or more pages a visitor views on your site. Put a frequency cap on your ads to limit the number of times a targeted user sees your ad. This approach helps you avoid the risk of having a potential customer feel overwhelmed. Align your messaging and creative with the lists you've developed, and where your customers are in the sales funnel. Use a burn code (burn pixel) to untag users who actually followed through in making a purchase, ensuring you aren't serving ads that can annoy people. Rotate your creative and perform A/B tests. Include as much data as possible to segment your target in order to reach the right people. Separate data into columns according to the data types accepted by Facebook. Add correct product IDs to Facebook pixel and App events. Be sure your list matches at least 500 users - otherwise your audience will be too small to be used for campaign targeting. Use the "expand reach by targeting similar users" option when you have a small audience or to drive higher campaign volume. While additional targeting is available, layering highly granular targeting into a tailored audience campaign will likely result in very low campaign volume. Name your audiences clearly and uniquely. Choose a URL rule that aligns with your retargeting campaign goals. Check the "Verified" tag status of your designated audience segments after 24 hours. Diversify your campaign to ensure scale, reach and relevance. Distribute meaningful visual content to increase engagement. Include lookalike audiences to expand your reach to Snapchatters similar to your target audience. Refine your targeting with specific categories such as topics, interests, keywords, demographics, etc. Use various ad formats when building your remarketing campaign. Look to performance metrics to optimize your campaign. Combine your remarketing lists to customize your targeting. Use keywords to define your target audience to reach them while they browse and search on Pinterest. Make sure your Pinterest tag is verified in the tag dashboard. Choose keywords that are relevant and compliant with Pinterest policies. These potential customers were drawn to your website initially for a reason. By following these tips, you can use retargeting as a tool to develop deeper relationships with these customers and get their eyes back on your products. This article originally appeared on Strike Social.